Everyday Young Mum: How to perfectly wrap a present! 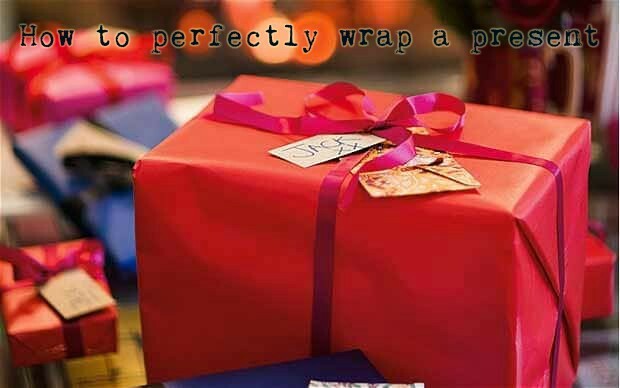 How to perfectly wrap a present! I hear at least one person every year say "take no notice of the wrapping! ", do I thought why not doing a tutorial on wrapping presents. Measure the paper- Do this by placing the gift onto the paper and wrapping it around until both sides meet. It is always a good idea to allow an extra inch of paper to make wrapping easier. Tape both of the meeting edges together. fold the edges down making sure you have a clean fold. Tape each edge down.
. Add your ribbons, bow and gift tags. Here's a quick video i made to show you how I do it.